“Fresh new scent!” is a frequent product pitch, and supermarket shelves groan with seemingly endless varieties of soaps, moisturizers, cleaners, air fresheners and more that vaunt their alleged nose-pleasing qualities. While the FDA requires the manufacturers it oversees to list “fragrance” as an ingredient in their scented products, current laws don’t require disclosure of the compounds used. And the Consumer Product Safety Commission (which regulates cleaning supplies, air fresheners and laundry products) does not require “fragrance” to be mentioned, or require disclosure of what its components might be. A 2011 study published in Environmental Impact Assessment Review by researchers at the University of Washington, the Battelle Memorial Institute and the U.S. Environmental Protection Agency, “Fragranced Consumer Products: Chemicals Emitted, Ingredients Unlisted,” analyzed 25 scented products using a gas chromatography/mass spectrometry. The tested products included laundry and dish detergents, fabric softeners, cleaners, soaps, disinfectants, hand sanitizers, lotions, deodorants and shampoos. The average product emitted more than 17 VOCs. Of these, 1 to 8 were toxic or hazardous. 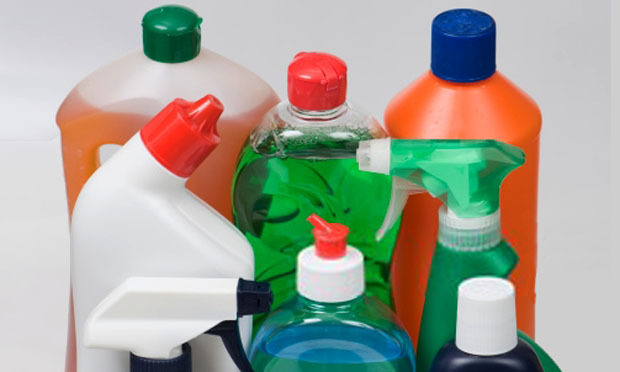 Nearly half the products generated at least 1 of 4 carcinogenic air pollutants (acetaldehyde, 1,4-dioxane, formaldehyde, and methylene chloride). Of all VOCs identified, only one was listed on a product label and only two were listed on any material safety data sheet (MSDS). Products labeled as “green” or “natural” did not emit significantly fewer VOCs than other products. Citation: Steinemann, Anne C.; et al. "Fragranced Consumer Products: Chemicals Emitted, Ingredients Unlisted," Environmental Impact Assessment Review, April 2011, Vol. 31, Issue 3, 328–333. doi: 10.1016/j.eiar.2010.08.002.